Meet Vincent Brooks. He's probably a lot like you. At 32 years of age, Vincent is unambitious and in a long-term relationship with the dependable but frustrated Katherine who has been dropping not-so-subtle hints about marriage. Most of his friends would tell you that he's a decent guy. But when the young, eager Catherine walks into the Stray Sheep Pub one night, it throws his entire comfortable existence into a tailspin of seduction, doubt and fear. We've been eager to get our hands on Catherine since her bouncy form first appeared. The titillating marketing campaign showed off skin to try and get people in the door and you would be forgiven for expecting that from the final product. Those expecting a lot of "M-Rated content" are in for a huge letdown. Everyone else will discover what is possibly the most mature story found in a videogame to date. Vincent has real problems and anxiety over his future seems at first to have spilled over into his dreams, giving rise to nightmares of climbing a tower that he can no longer remember when he wakes. He's not alone either, as he quickly discovers in conversations with his friends and other bar patrons and a terrifying rash of mysterious deaths has people talking of dreams that kill. What's wonderful about Vincent as a leading man is his lack of apparent depth. While you will come to know Vincent's friends and the people who visit the Stray Sheep Pub on a nightly basis, it's the decisions that you make on Vincent's behalf which determine what kind of person he really is. 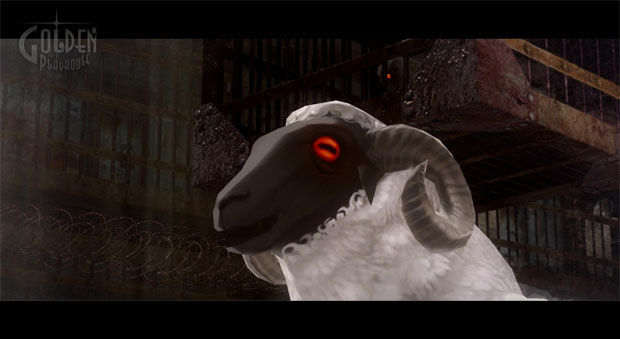 Conversations Vincent has with bar patrons and the sheep in his nightmares come with dialogue options which both determine his state of mind and change the course of the lives he touches. Unlike the moral choices found in most games, the decisions you make for Vincent are often vague and it's easy to make a selection thinking you're saying the "good" thing only to see Vincent's mood meter swing sharply to the left instead. Occasionally there are options where neither choice seems applicable (this reviewer spent a considerable amount of time deciding if he was a sadist or a masochist), but the majority of them are smartly presented. It's almost entirely forgivable, as the plot up to this point is so engaging that nothing is likely to stop the player who has progressed this far. Nor should it. One somewhat silly plot twist is not enough to damage a story which so effectively leverages suspense and natural human fears, though it did somewhat stretch the boundaries of believability with the ending earned in my playthrough. The two types of play, "Stray Sheep" and "Nightmare," couldn't be more disparate. Stray Sheep acts as a staging ground for the coming nightmare, with Vincent spending yet another night at his old haunt getting drunk. While here, he can talk to bar patrons, respond to text messages, drink (making him faster in the Nightmare stage to follow) and play the "Rapunzel" arcade machine which offers a different spin on the climbing game found in the Nightmare mode. As you spend time in the bar, people will come and go and offer different conversation later in the evening than at the start. Many actions cause time to pass, meaning that if you wait too long to strike up a conversation with somebody, you may miss your shot. Failing to talk to people can have dire consequences for them too, as those who fail to come to terms with their personal issues may simply never wake up again. You'll also engage in most of your communication with Katherine and Catherine in the Stray Sheep through a clever text-messaging gimmick. Vincent will receive messages throughout the night from the pair, which you can choose to respond to or ignore. Replying to a text is a lot like doing it in real life, as Vincent types out a line at a time and gives the player the chance to have him erase it and try again to get the proper tone. Like all of Vincent's conversational choices, these too have bearing on his state of mind and can shift the tone of his relationship with both women. Upon leaving the bar at the end of each night, Vincent will be faced with his nightmare of climbing a tower that's falling away beneath his feet. The game takes place over the course of nine days with Nightmares becoming increasingly challenging and complex the further on you go. Most nights consist of three or more floors of arcade-style climbing. The tower consists of a pile of blocks stacked one atop the other. Vincent can push or pull blocks, climb on top of them and hang from edges to move around them. Some blocks are heavy and pull out more slowly or are weak and crumble after being stepped on twice. Later in the game, blocks appear which have the properties of ice as well as traps and launchers which can send Vincent rocketing up the tower. It's a bit tricky to wrap your head around the idea of pushing and pulling the blocks in a 3D space to create paths up. People familiar with crate pushing titles like Boxxle will probably have little difficulty picking it up, no doubt, but nobody has played that game seriously for a decade or more. The progression is managed well, adding in new block types at a frequent and steady clip to keep things fresh but without ever really becoming overwhelming. Also littered across the tower are gold coins and power-up items. 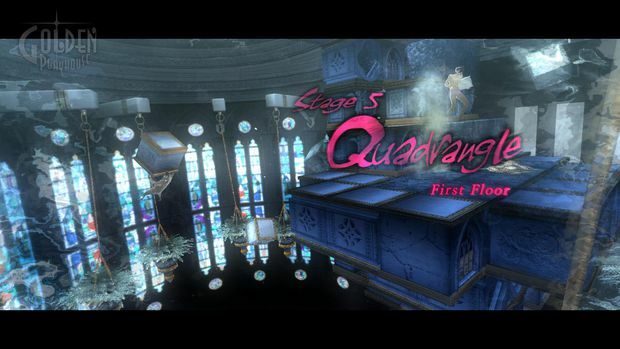 Coins act as your score in the Nightmare stages, earned by quickly ascending and as a bonus for the amount of the tower still standing when the level is finished. The score is then used to determine a rank award at the end of the Nightmare and high ranks unlock new content for the game. Vincent can carry one power-up at a time and they have effects like granting him the ability to climb up more than a single block at a time or eliminating all of the enemies on the tower. Yeah, I said "enemies." Vincent isn't alone on the tower as a multitude of sheep also seem to be making the trek upwards. Most sheep early on will just be a mild nuisance at worst (highly entertaining at best; they're very good at tumbling off the tower) and Vincent can just push them away. Later, tougher sheep become more aggressive and aren't so much interested in ascending the tower as they are in making sure nobody else does. They'll hound your every movement on the tower until you can find a way to get rid of them by pushing them off, crushing them under a block or forcing them into a trap. But don't let that intimidate you. 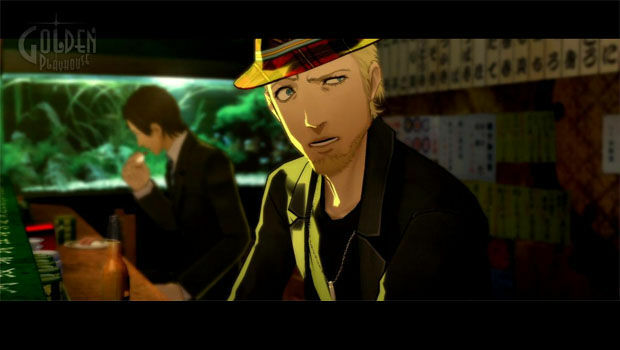 While the marketing for Catherine may have been a bit on the misleading side, its difficulty modes are not deceptive in the least. The Japanese release required patching shortly after arrival in stores due to extreme difficulty but there are no such problems with the easiest setting here. Easy really does mean easy as the game affords you ample time to sit and stare at troublesome spots on the climb, a near endless supply of extra lives and additional score multipliers to help in earning higher rankings. And yet, even at its easiest, it's still a thrilling race. The pressure of choosing which block to pull, knowing that a single misstep can spell instant doom and having to make that decision quickly is delicious. The final stage of each night ratchets up that intensity further with boss encounters which make climbing hellish by destroying blocks, changing the blocks into blocks more difficult to use or just instantly killing a dawdling Vincent. The satisfaction of reaching the top of a tower after a particularly difficult stage is amazing to feel. Normal and hard difficulties are significantly more challenging as the pace of the game becomes dramatically faster. Even having completed the entire story on Easy, I struggled to even finish the second night on Normal. 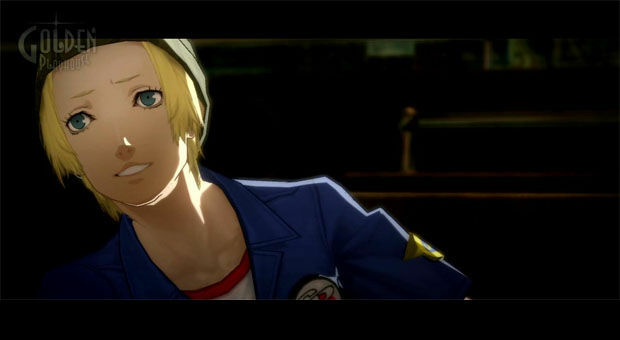 While it's reasonable to expect that just about anybody is capable of playing and enjoying Catherine on Easy, developing the skill to conquer it on anything else will be an exercise in patience and persistence. There is help for you in the form of the sheep who are making their own ascent up the tower. Between stages lies a landing with a save point and a confessional booth where sheep congregate. Talking to them can reveal new techniques for climbing which you might not have thought of, complete with visualization of the act being performed. It's also another opportunity to have an impact on the lives around you, as many of the Stray Sheep's patrons have found themselves sharing this dream. If you're really struggling, you can spend some of the coins you've earned on a power-up to take into the next stage, though it will hurt your chances of achieving a high rank. 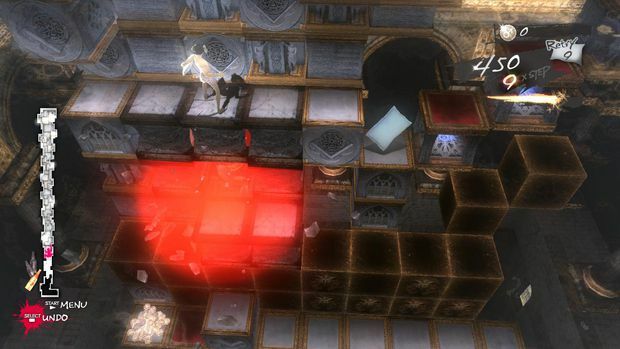 For those who become enchanted with the arcade style gameplay of Vincent's nightmares, Babel is an additional game mode unlocked by achieving success in the Nightmare stages of the story. These bonus levels feature leaderboards for competing against fellow climbers around the world and are extremely difficult. They also allow for a second player to help in the climb in local play which is an interesting challenge in teamwork as the death of either player spells the end of the round. If you don't feel like working together, there's also a competitive local multiplayer mode, The Colosseum. Available on completion of the story, these are best of three trials in stages based on those in the story. The winner determined either by being the first to reach the top of the tower or being the last sheep standing, so dirty tricks like moving blocks out from under your opponent can be just as effective as quick climbing. 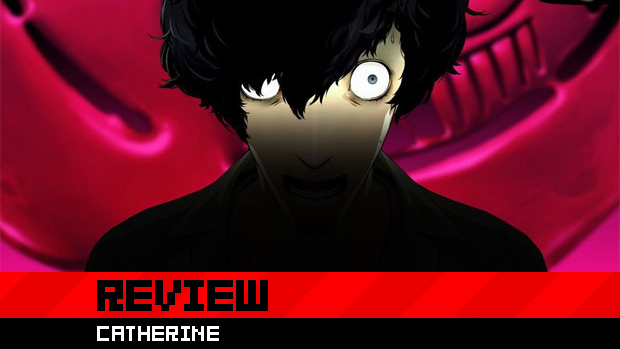 Catherine is a fantastic experience with a simple, fun and challenging arcade game at its core. It should not be missed by anyone who wants to enjoy a story with the emotional depth to match its adult themes and with multiple endings and side stories to resolve, there's a fair bit of inducement to return for a second or third pass. The action of the tower climbing is superb, though it certainly will not appeal to all audiences, but is made easy enough to allow those only interested in the story to see through to its conclusion. Those who love pushing blocks, however, will have endless hours of fun ahead of them.